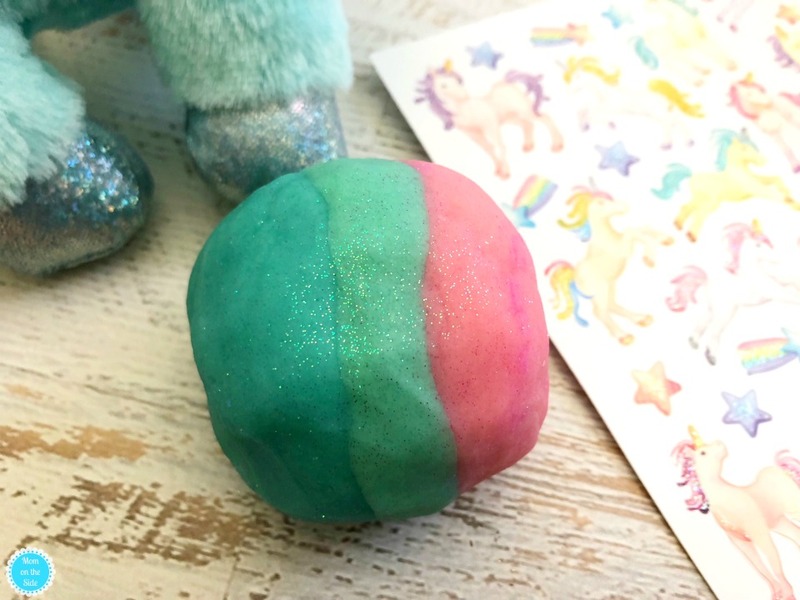 This DIY Unicorn Play Dough is colorful, glittery, and fun to play with. 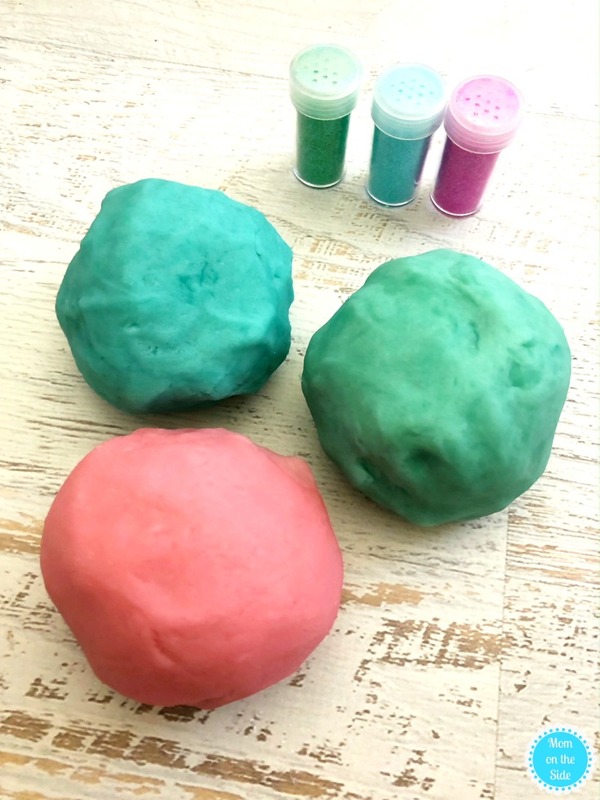 Made with typical household ingredients, this homemade playdough recipe makes a great snowy or rainy day activity. Not to mention it’s great for adding to the list of Unicorn Birthday Party ideas. 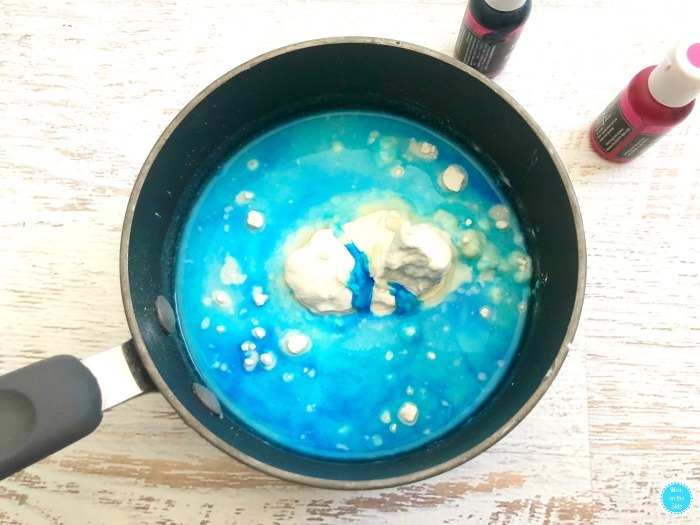 Start by combining flour, water, salt, vegetable oil, cream of tartar, and one tiny drop of one color food coloring Mix well and cook on stovetop over medium heat for a couple minutes. 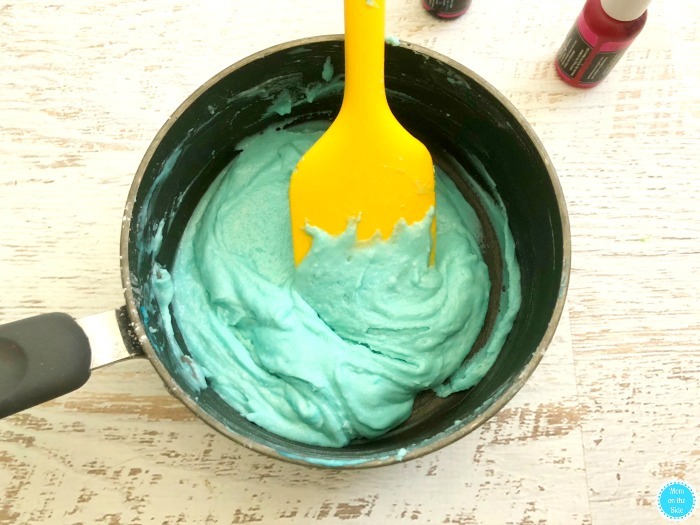 Stir constantly until you have a play dough like consistency. As you stir and cook it will get less sticky. 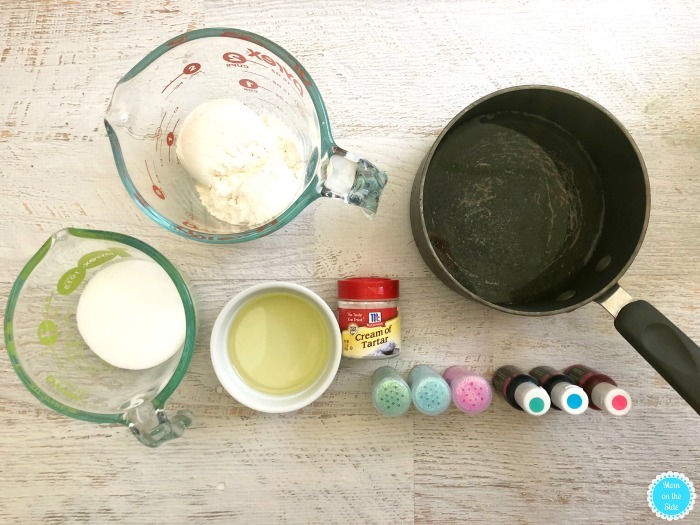 Carefully remove the play dough (it will be hot) and let it cool down. Once cooled, roll it into a ball and place in a Ziploc bag. 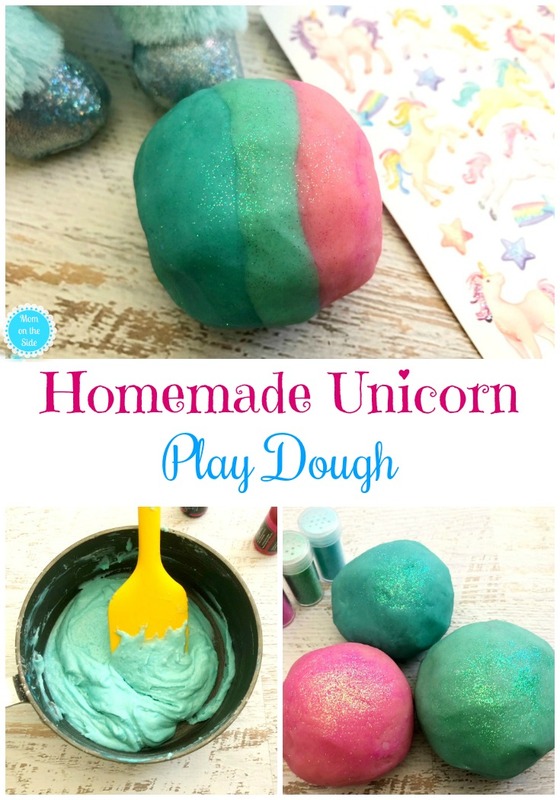 Repeat these steps for each color of the Unicorn Play Dough. 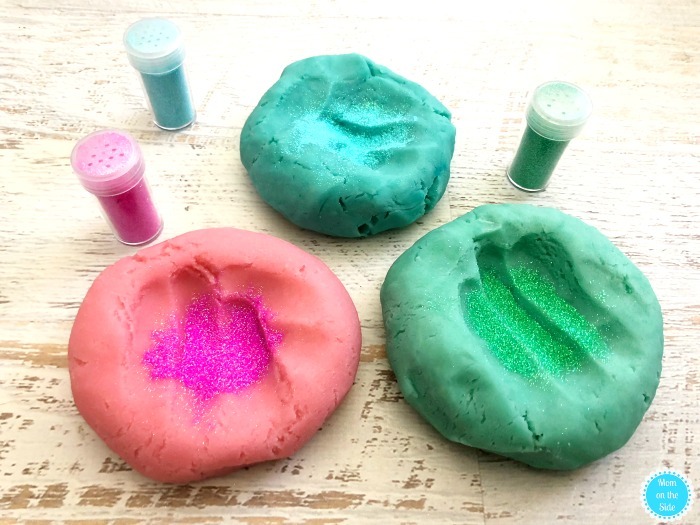 When all the colors of Unicorn Play Dough are cooled, set them out on the counter, press the center down, and top with matching glitter. 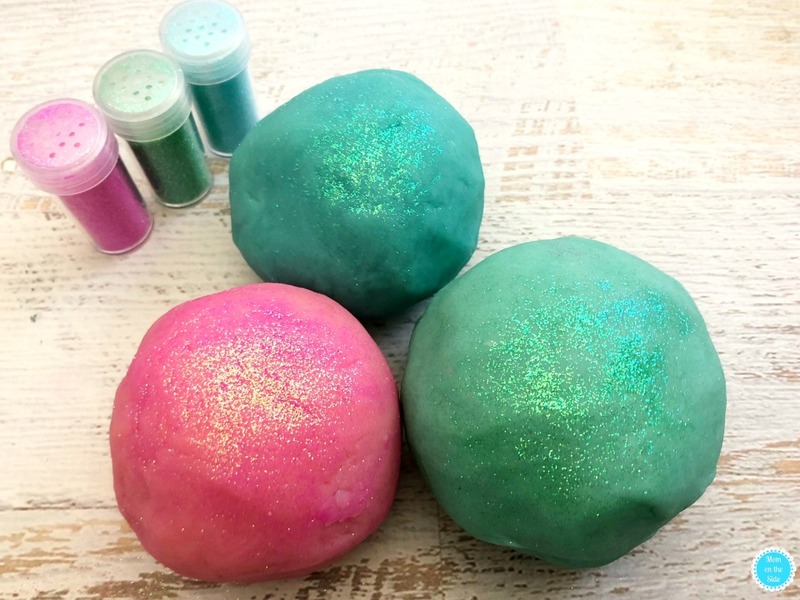 Roll and knead the glitter into the play dough. 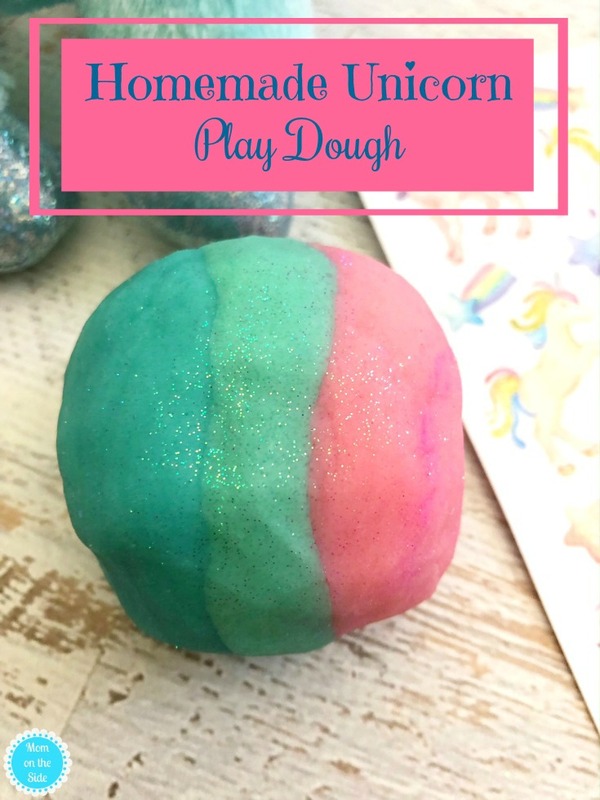 To make the multi-colored play dough you’ll want to roll each color out into a snake shape as my kids like to call them. Then, lay them all next to each other and roll up together into a ball. 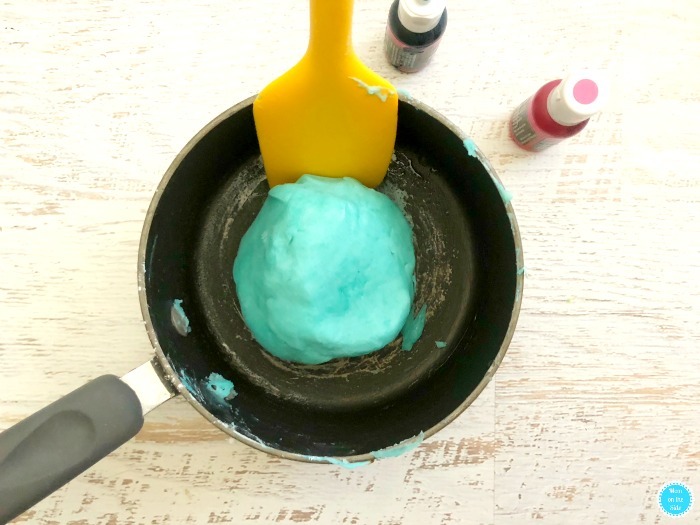 Save this your list of Unicorn Birthday Party Ideas to make for later!